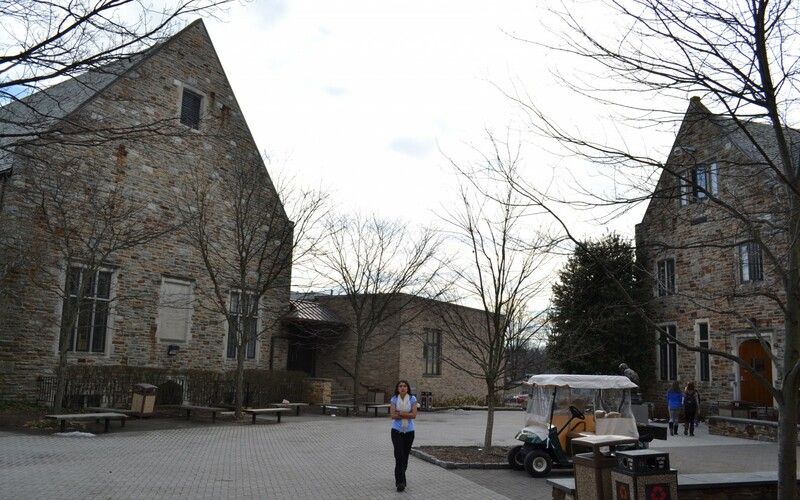 comprehensive state-of-the-art performing and visual arts facility in the heart of this private school’s growing campus. 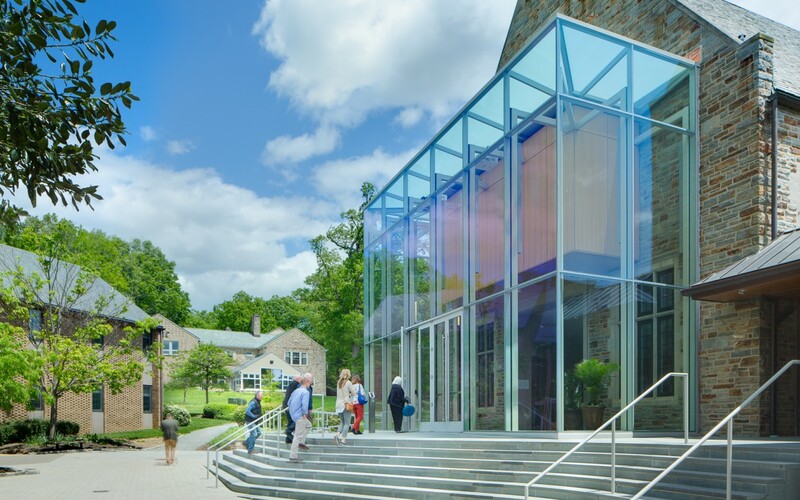 A contemporary glass entry pavilion creates a distinct entry and engages the plaza for a unifying point of arrival. 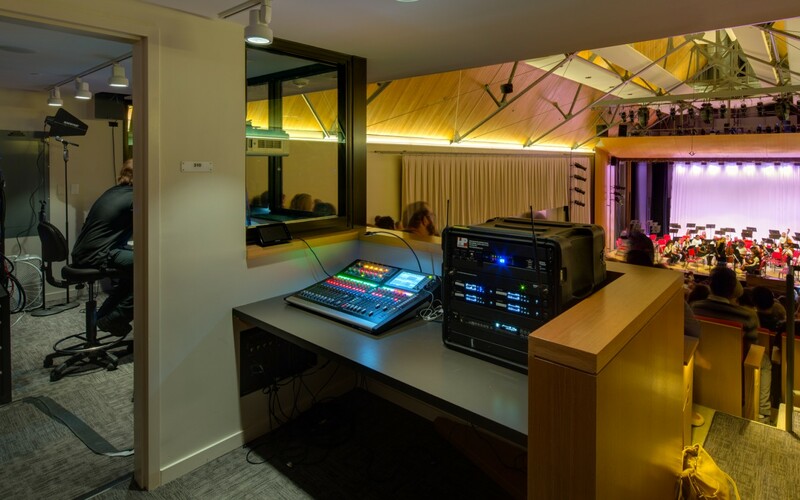 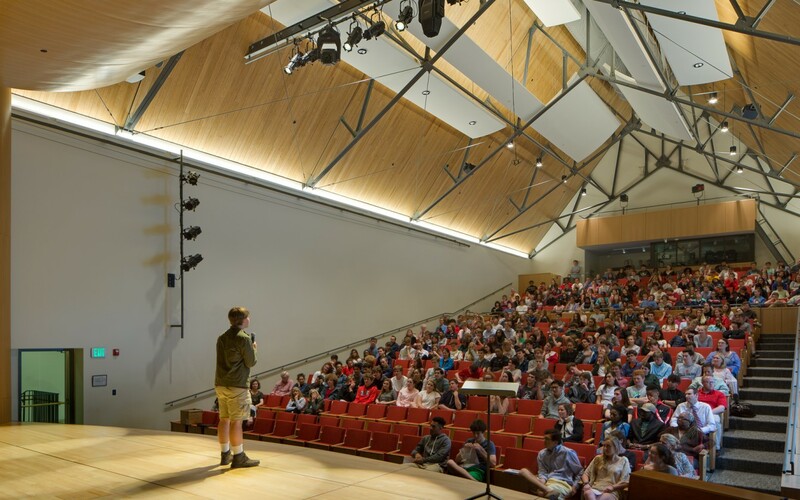 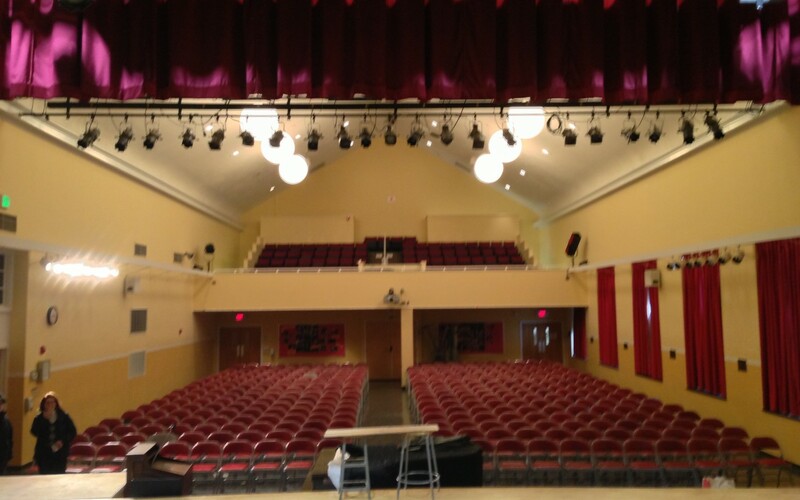 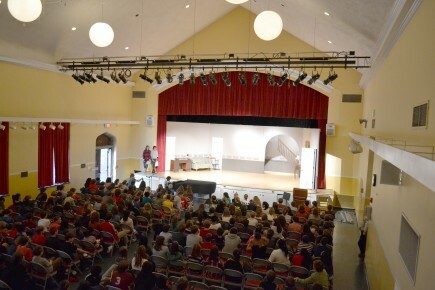 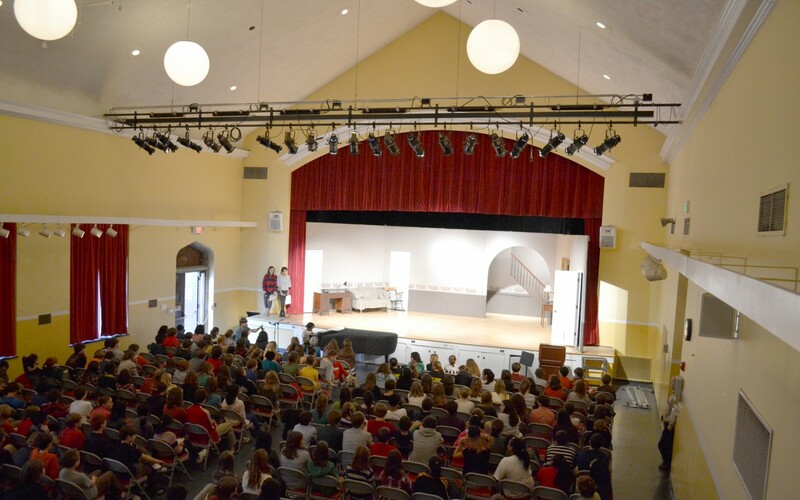 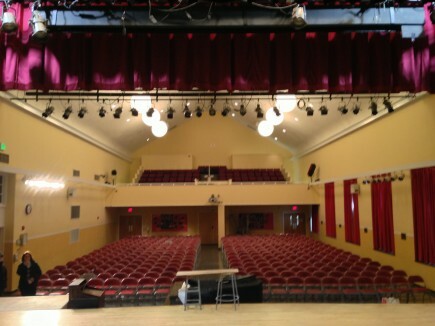 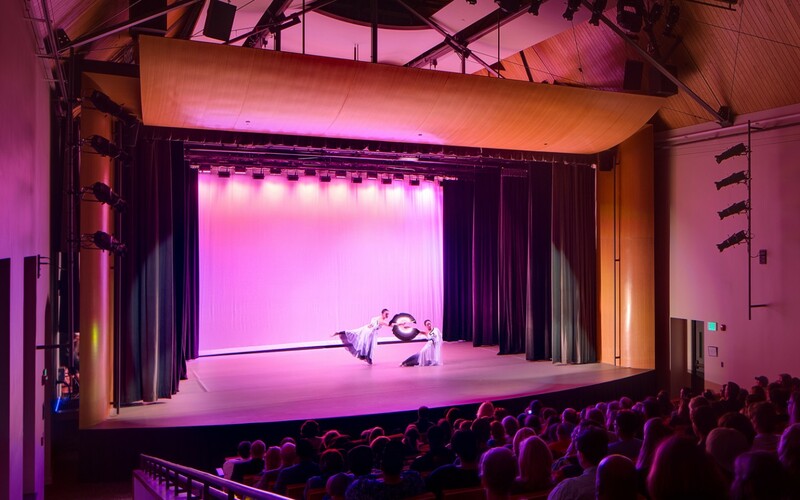 A new control room and new theater-style raked seating accommodates the entire school and improves the theater, music and dance capabilities. 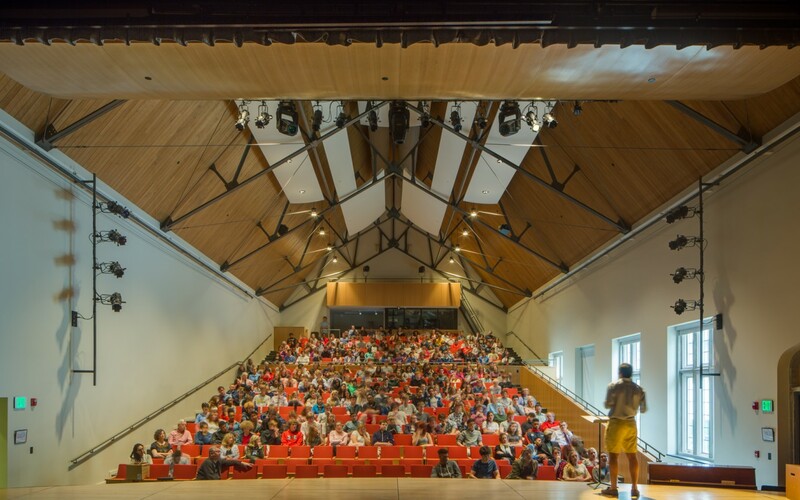 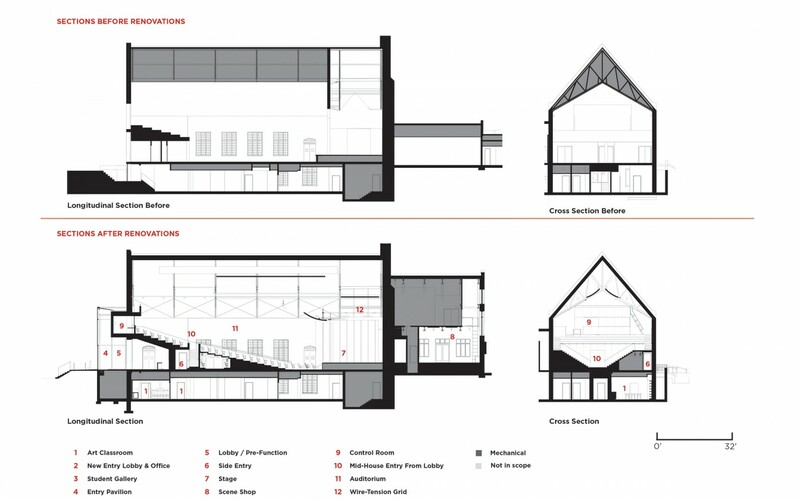 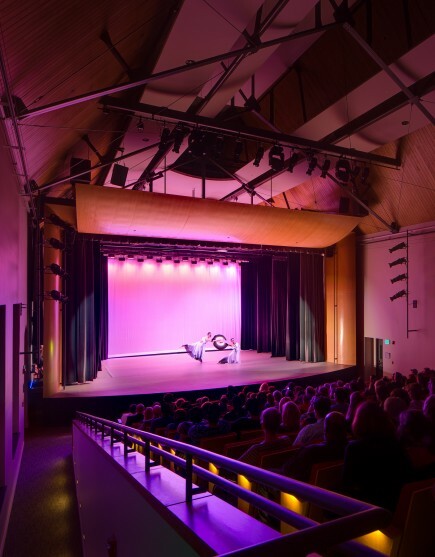 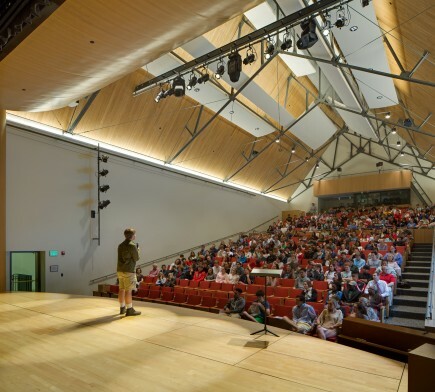 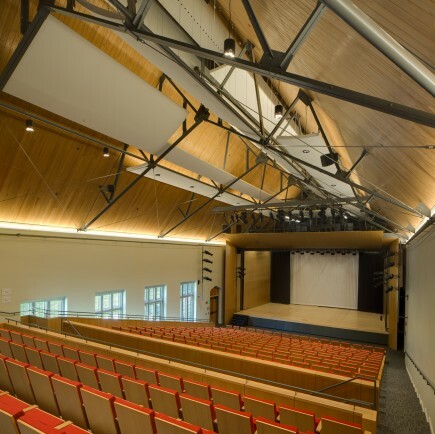 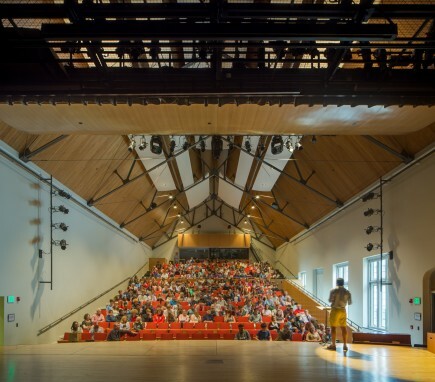 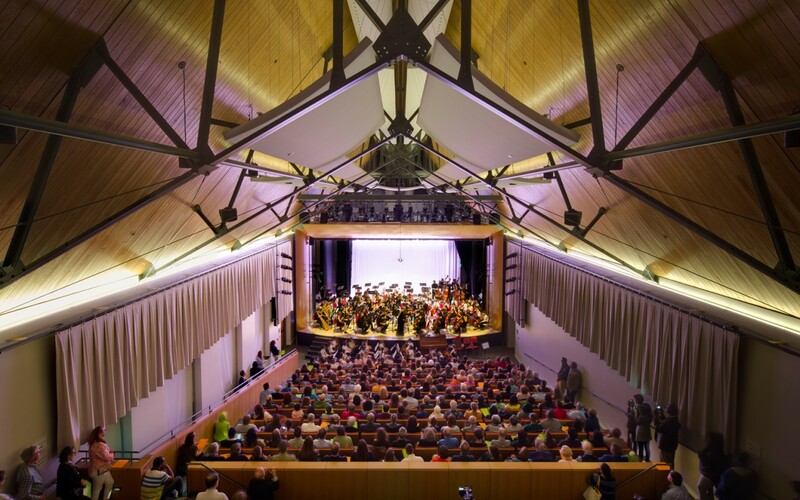 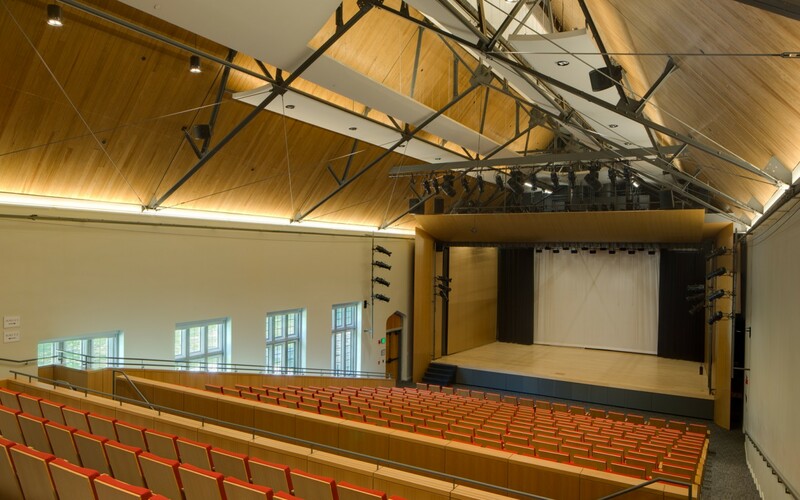 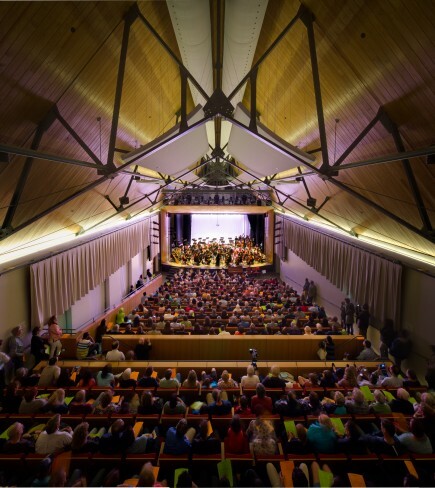 The ceiling of the main auditorium is removed to expose the steel truss work and to dynamically enrich the interior space, while also providing the ability to more finely tune the acoustic needs of varied performances. 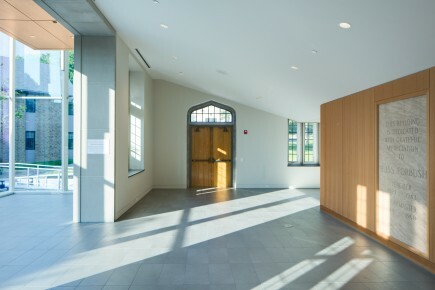 Honest, warm and inviting materials further reflect the school’s Quaker values. 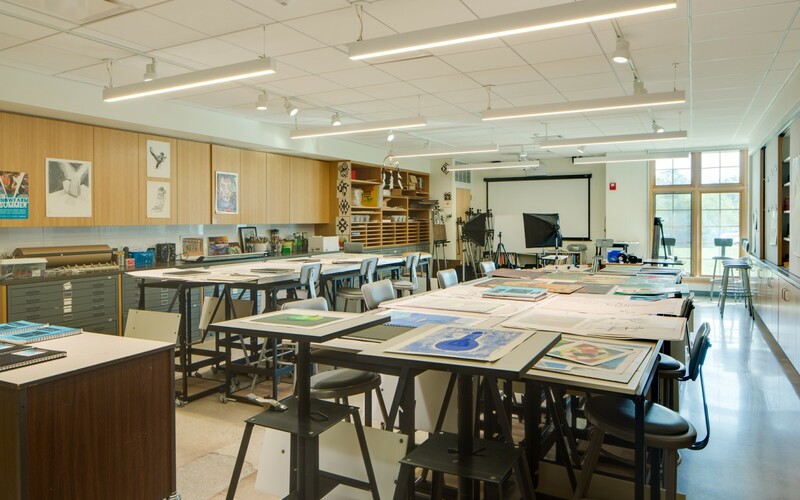 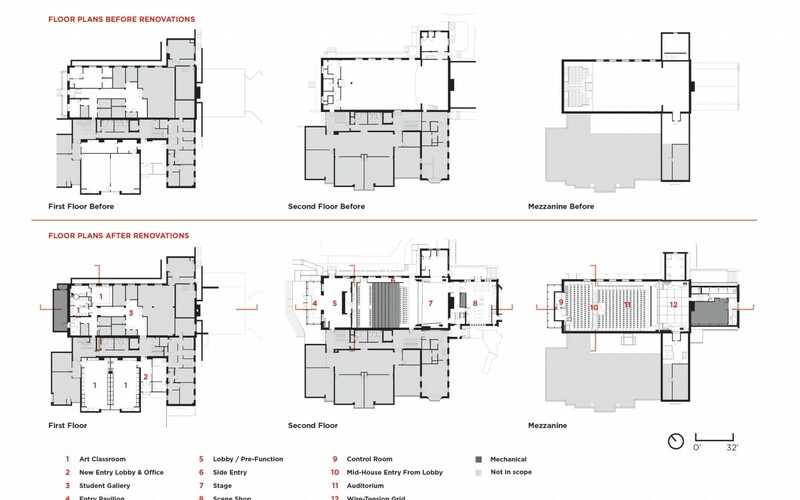 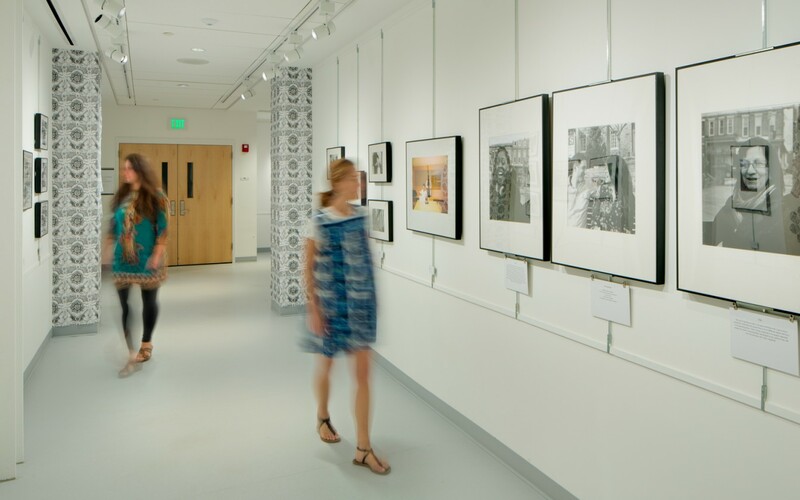 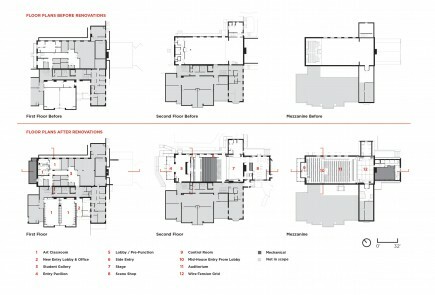 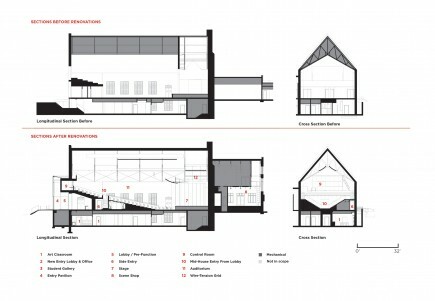 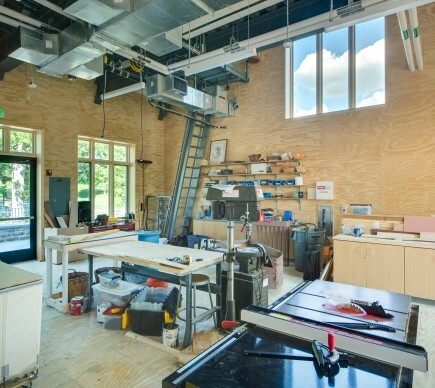 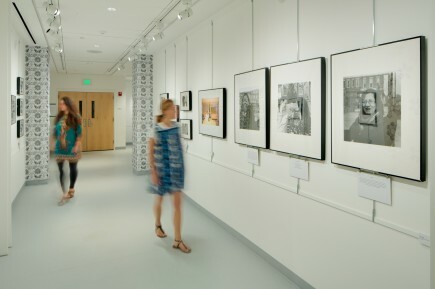 Additional renovations expand the visual arts programs with large and dedicated photography, printmaking, drawing and painting classrooms, which surround a refurbished gallery for student and guest art work. 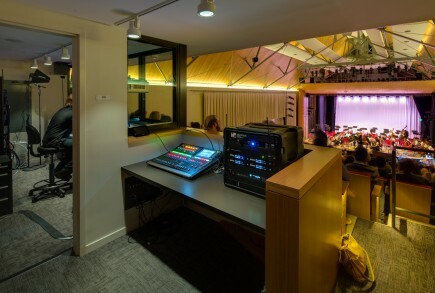 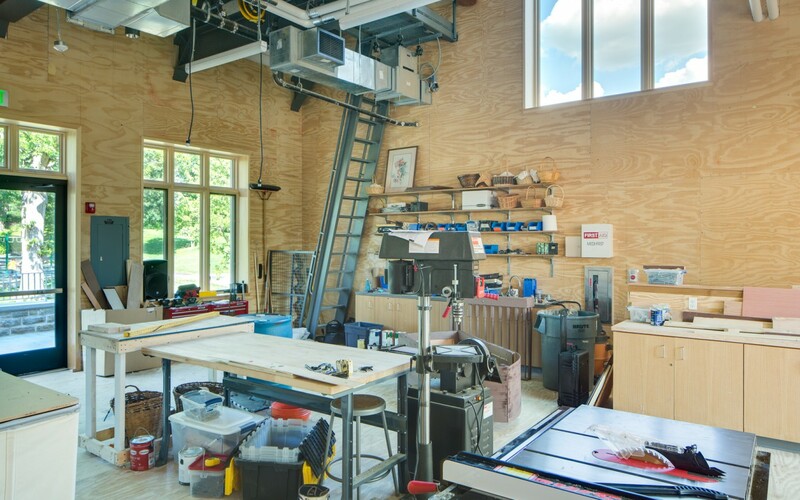 A small addition on the rear of the building creates important space for a new scene shop, mechanical systems, and access to the above-stage wire tension grid for students to manage the technology of productions. 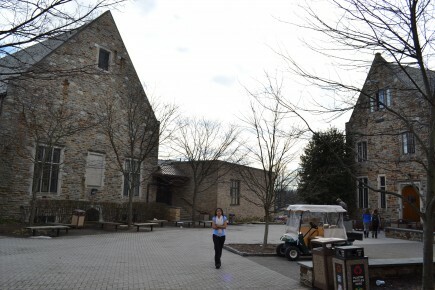 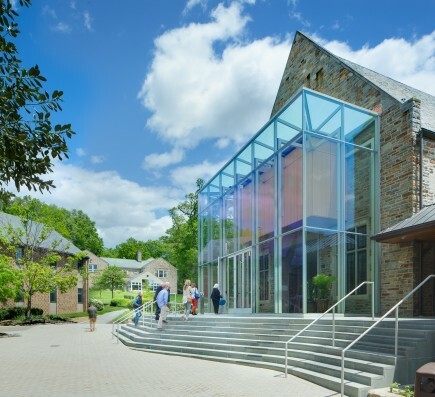 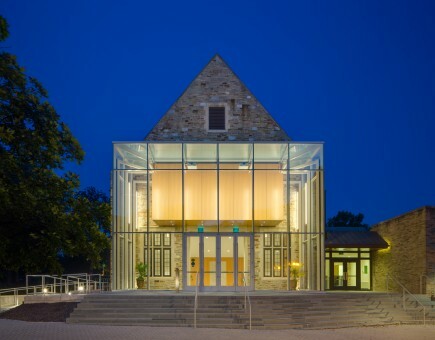 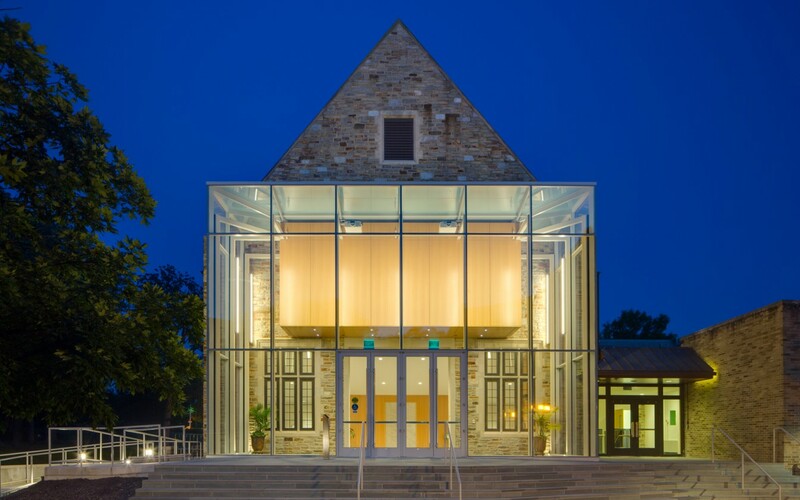 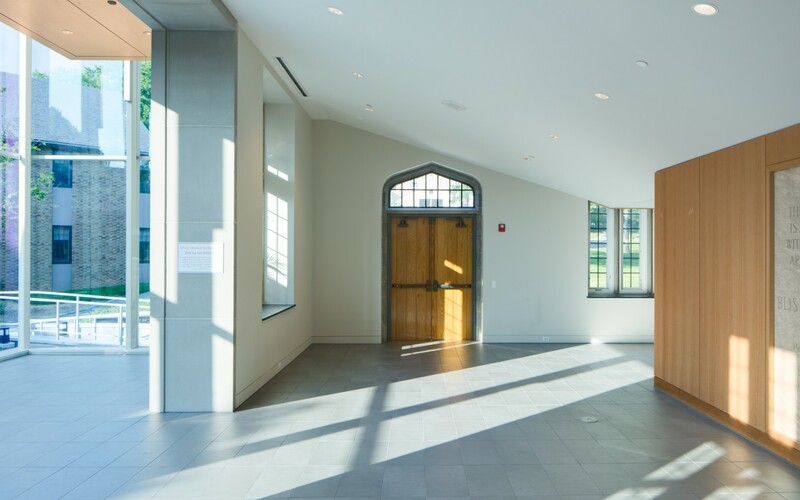 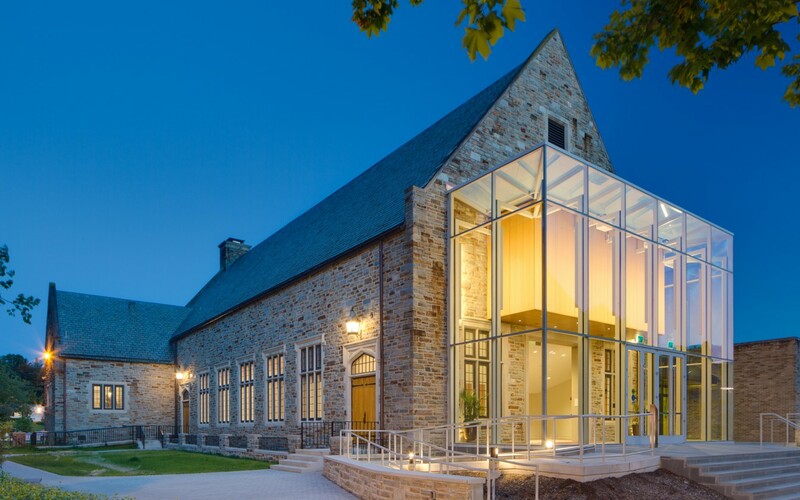 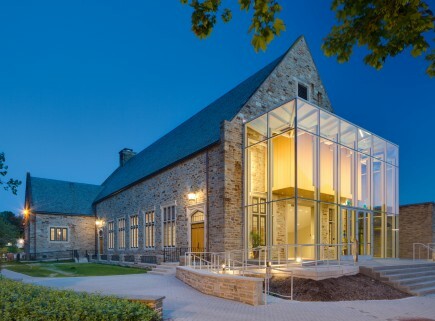 The modern glass entry addition provides an obvious contrast to the Butler Stone building with vertical proportions that respond to the Gothic context utilizing standard construction.